Yes, they can be challenging but they daunt me no more. Once you challenge yourself to make fusion cheesecake you will never want to make the old plain one. That happened to me after baking the red velvet cheesecake. Next up was a fusion of my two favorite cakes, the tiramisu cheesecake. I recommend them both. I made this decadent maple cheesecake with spice cake layer for Thanksgiving. It was perfect. What’s next, I have no idea…yet. But I am taking suggestions, though. You can sprinkle the cheesecake with chopped candied walnuts or pecans before serving or serve the nuts separate, which is a good option if people you’re serving have allergies. I soaked my piece in maple syrup and gave it a generous dollop of whipped cream. It was heaven. Do make it a day ahead. It takes time and it tastes better the next day! 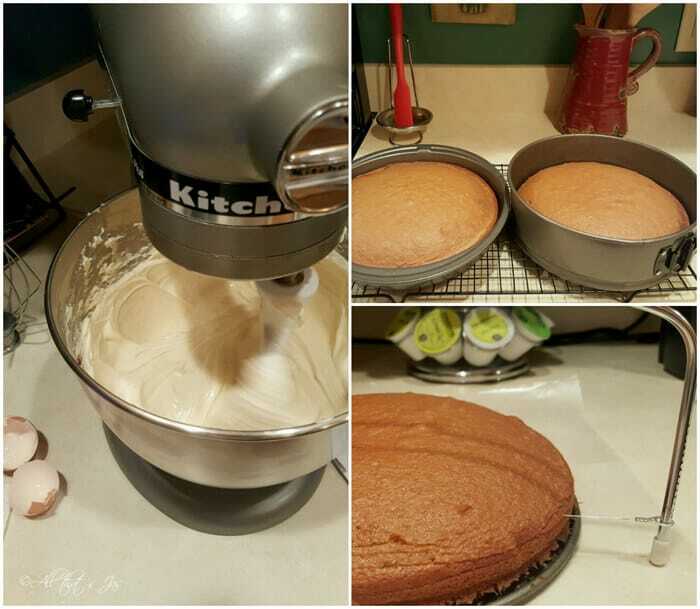 I made the full recipe for spice cake and used the leftovers for small, individual cakes with caramel icing. Stay tuned for that recipe next week (here). I figured the cake wouldn’t be any less rich by making this layer from scratch. So, I cut down on baking time by using a spice cake boxed mix. Don’t hate me. Note: use ingredients according to directions on the box. First, bake the spice cake according to the box directions in a 9-inch springform. Use only half the batter and bake the other half in another 9-inch cake pan, or discard. Remove the cake and place on a rack to cool. With a serrated knife or an adjustable wire cake slicer (see photo) gently cut the dome off the top of the cake. Use the same springform to bake the cheesecake. Combine the crumbs and sugar in a bowl; add melted butter and mix well. Press onto the bottom of your springform pan. Refrigerate while you make the cheesecake mix. In a bowl of an electric mixer, beat the cream cheese on low speed until free of lumps and fluffy. One at a time, add eggs mixing on low speed after each just blended. Gradually add maple syrup and beat slowly until combined. Periodically scrape down the sides of the bowl and the beaters. Add vanilla, nutmeg, and cinnamon. The batter should be well-mixed but not overbeaten. Pour the filling over crust. Set the cheesecake pan on a large piece of aluminum foil and fold up the sides around it. Place the cake pan in a large roasting pan. Pour boiling water into the roasting pan until the water is halfway up the sides of your pan. Bake for 45-50 minutes or until just set. It should still jiggle, but it will firm up after chilling. Let cool in pan for 30 minutes. Beat the cream cheese and butter in a large bowl until smooth. Add powdered sugar, syrup, and vanilla; beat until smooth. Loose the cheesecake gently from the sides of the pan by running a knife around the inside rim. Unmold and transfer to a serving plate. Using a spatula spread a layer of maple icing over the surface. Top with spice cake. Spread the remainder of the icing over the top and sides of the cake. Refrigerate overnight or at least for four hours to let the flavors mend. To serve, top the cake with chopped candied walnuts and drizzle with maple syrup. 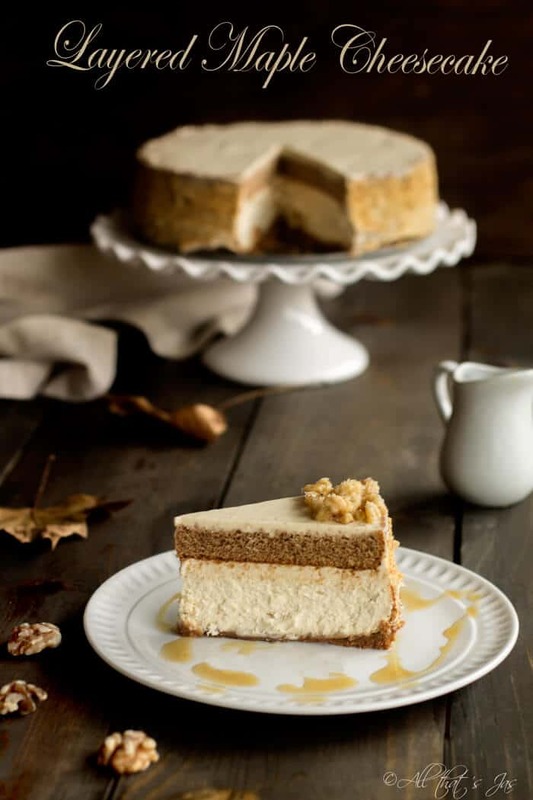 This decadent fall maple cheesecake is topped with a spice cake layer and it's a perfect addition to your Thanksgiving table spread. I figured the cake wouldn’t be any less rich by making this layer from scratch. So I cut down on baking time by using a spice cake boxed mix. Don’t hate me. Note: use ingredients according to directions on the box. First, bake the spice cake according to the box directions in a 9-inch springform. Use only half the batter and bake the other half in another 9-inch cake pan, or discard. Remove the cake and place on a rack to cool. With a serrated knife or an adjustable wire cake slicer (see photo) gently cut the dome off the top of the cake. Loose the cheesecake gently from the sides of the pan by running a knife around the inside rim. Unmold and transfer to a serving plate. Using a spatula spread a layer of maple icing over the surface. Top with spice cake. Spread the remainder of the icing over the top and sides of the cake. See this recipe featured on: Mom Always Finds Out, Life With Lorelai, Repurposing Junkie, A crafty Mix, A Fresh Squeezed Life, Sharing Life’s Moments, Old Time Pottery, Busy Monday, Tuesday Talk, Talented Tuesday, Friday Frenzy, Sizzling Eats, Starfish Cottage, Tabler Party of Two, A Pinch of Joy, Tumbleweed Contessa, My Busy Beehives, Lori’s Culinary Creations, Imparting Grace, Rattlebridge Farm, Keeping It Simple, Mom Home Guide, Snapshots and Snippets, and Marilyn’s Treats. That’s some really impressive camera work! Makes the delicious cheesecake look even more appetizing! Awwwwwwwww! 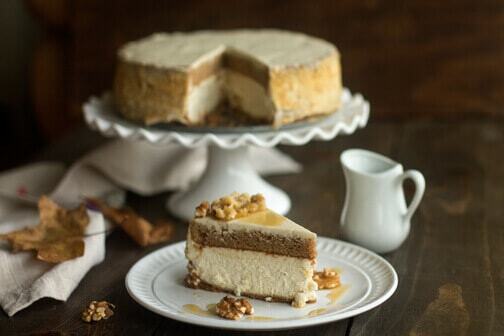 I’m swooning over your yummilicious looking cheesecake, Jas! like!like!like! Bas steta sto nisi blizu jer i ti imas predivne recepte 🙂 Inace, vrata su uvijek otvorena, dodji maksuz! Such a wonderful looking cake!! Wow this looks and sounds scrumptious! Absolutely gorgeous photos too, Jas! Oh my! Cheesecake! I spent a summer experimenting with different recipes to get just the right one so I can appreciate the time you put into this. Looks divine. So happy you shared this on our Tuesday Talk party today. Pinned it to our board. Ah, I’m so glad I’m not alone in this 🙂 Thanks so much for stopping in! What is your favorite cheesecake? To name one favorite…can’t, I have too many. I did take though three separate cheesecake recipes and combined them into one. It is my White Chocolate Raspberry Cheesecake with Chocolate Ganache. One of these days I will post it on my blog. Ooooh…I can’t wait! Love EVERY.SINGLE.LAYER. Yum!!! 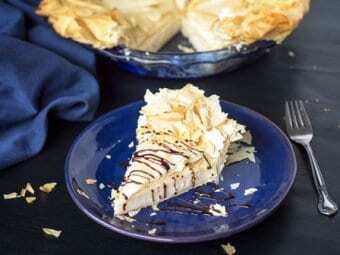 I will be featuring this delicious dessert on next week’s Tuesday Talk on my blog. wow this looks so delicious! You did a lovely job on the cake – it looks so pretty! Wow, Jas! You always share the yummiest recipes. Thanks for sharing at My Flagstaff Home! Aw, thank you so much Jennifer! Hope your weekend is grand! 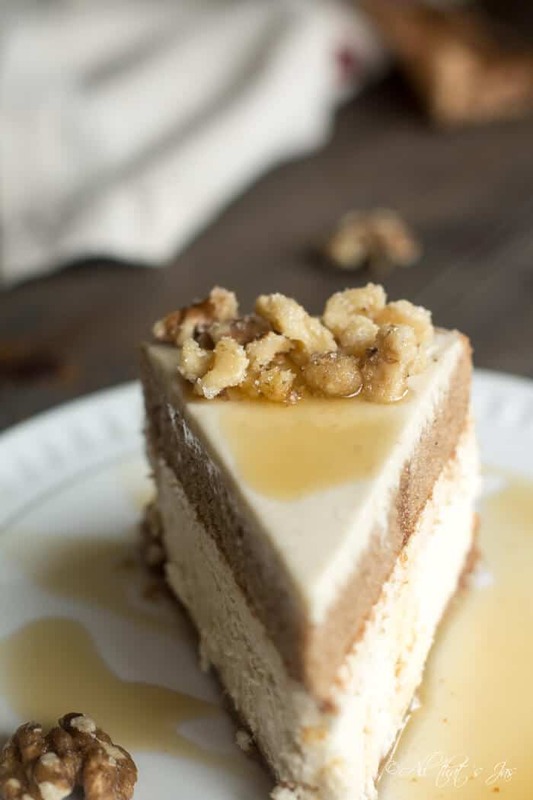 Wow, this is gorgeous and the combination of spice cake with the maple cheesecake sounds incredible! Thanks for sharing at What’d You Do This Weekend?! Wow that looks amazing! The more layers the merrier, eh? 🙂 Love the maple flavor too! Most definitely, lol. And how about your twist on that pumpkin pie? Sounds scrumptious! Thanks for stopping in! Looks amazing. I love a good cheesecake & this looks like it’s heavenly. Thanks for joining in the Inspiration Spotlight party. Pinned & shared. Happy Holiday Season! Thank you, Theresa! Hope your Holidays are full of blessings! oh my this looks wonderful!! (and easy) – thanks for sharing on What’s for Dinner! It;’s a gorgeous cake and looks FANTASTIC !! I don’t hate you! This sounds and looks incredible! Oh my goodness, gracious Jas. Wow! Did you know that cheesecake is my kryptonite? Lol, that looks delish, thanks for sharing. Lol, mine too! I got few crazy ones on my blog…love the fusions and have few more in mind to make. Thanks for stopping in! Well if that doesn’t just look and sound amazing! If the dessert menu isn’t already full for Thanksgiving, I am going to have to add this! 😀 Thank you so much, Michelle! I personally adore this cake. Have a great weekend! Jas, I have decided I’ll save this particular recipe for when I come to the states where I can get proper maple syrup and do it right! Pinning again so I remember to do this. It is that special. Hey, Jas! 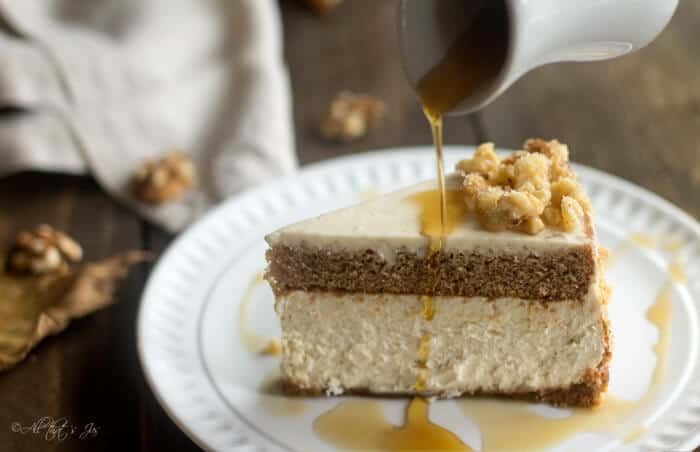 Just wanted to let you know that we loved your Layered Maple Cheesecake so much when you shared it at the #HomeMattersParty last week, we’ve FEATURED it THIS WEEK! Hope you can check it out when you get a sec. Happy Friday!!! Hi, Lorelai! That’s a great news 😀 Thank you so much!!! Hope you have a wonderful weekend! Jas, This is looking beyond super delicious for me! I’ve printed it out and I’ve pinned it. I might make this as an extra for Thanksgiving. Good Evening Jas, I adore cheese cake, in actual fact it is my favourite dessert. When I visited Atlanta a few years ago, I experienced the delights of the Cheesecake Factory and I was smitten. I am looking forward to making your layered maple cheesecake…. what could be better than a multi layer cheesecake. So glad you want to bake my cake! Would love to hear your feedback later 😀 Hope you enjoy it as much as we did! I pin this cheesecake every time I see it at a link party, to remind myself to bake it! 🙂 I love the flavors you created. Though I am usually a cheesecake purist ( no toppings and add-ins for me) , this layered cake is all of my favorites in one luscious dessert! Wow! This cake looks stunning and sounds so good! Thanks for sharing! Thanks! I have a few fruity cheesecakes here too, Donna. What an amazing cheesecake! Looks so dreamy. Sharing on Twitter. Thank you for sharing on Merry Monday! Hope to see ya next week! Aw, thank you so much, Kim! See ya later! 😀 😀 Thank you, Rebecca! Means a lot! Oh yum! I am maple lover, and this looks simply heavenly! Thanks for sharing with SYC. Aw, thank you, Jo! I really appreciate it. Hi, Vicky! You and me both 🙂 I can’t get enough of them and am actually posting a new cheesecake recipe tomorrow, LOL. Happy baking!!! Now that we are living in New England, we have the most delicious maple syrup available to us – and I’m a sucker for just about any sort of cheesecake. Pinning to try real soon! Oh, lucky you! Hope you like it and come back for more delicious cheesecakes. I have a whole menu page dedicated to them and a new one scheduled for tomorrow, lol. That looks like an amazing cheesecake. I also have a Kitchen Aid and love it. It is one of my favored kitchen tools and has been for nearly 30 years. Oh, wow! I hope I get to enjoy mine for 30 years 🙂 Thanks for stopping in, Elise! 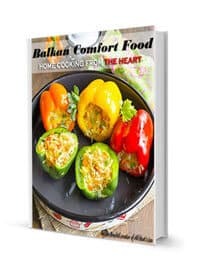 Wowza, can hardly wait to get to the store so I can make this! Looks so yummy and perfect for Thanksgiving. Saw this on the Sweet Inspirations Link Party. Thanks for sharing. This looks AMAZING!!! I can almost taste it just looking at your lovely photos! *Sigh* Cheesecake is my baking nemesis. Well, that and macarons. Whenever I master cheesecakes, then I’ll definitely give this a try…because it would be a sin to have it turn out a lumpy mess. Thanks so much for sharing at the #happynowlinkup! http://fiestafriday.net/2017/11/10/fiesta-friday-197/ and your co-hosts Trupti @ https://myculinarysaga.com/ and me @ http://www.lifediethealth.wordpress.com Thank you. Another intriguing, delicious sounding recipe! I so enjoy seeing what wonderful creation you link up each week! Thank you so much for visiting and sharing at Party in Your PJs. I pinned to my desserts board! Wow this cheesecake is absolutely stunning! Goodness, all those layers sound divine! I love maple so. Thanks so much for linking at To Grandma’s House We Go link party! Your project has been pinned. We hope to see you again this Wednesday! Thank you, Carrie! Have a great week as well! Wow! This looks incredible and perfect for a special occasion. I love cheesecakes and really need to make them more often. Thank you, Corina! They are addictive to make and eat too, lol. I love making cheesecake. This looks amazing! Pinned & sharing Thanks for joining the Inspiration Spotlight party. Thank you, Jenny! Happy you like it! Seriously, Jas, this looks amazing! Wow, what an awesome dessert, especially in the Autumn. I love to make desserts, but I confess that I’ve never once made a cheesecake. That’s ridiculous, I know: I’m 54 years old and I love to bake! 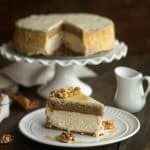 Do you know of a good basic cheesecake recipe that would be good for me to start with? Hi, Richella! Thank you so much for your kind words. This sounds so yummy! All those layers!! 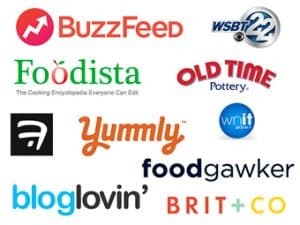 Thanks for linking up at Friday Frenzy Link Party! Pinned!! Jas just what I was looking for. We have to make a cheesecake because we are going to visit some special relatives. This one looks so decadent. I will show it to my resident baker and see if she can do it. You know since moving I have been in maple syrup heaven. Back in Greece we didn’t buy it that often because it was imported and very expensive. Hi, Mary! I know you’ve been eyeing this cake for quite some time. I even wanted to ship you some maple syrup to Greece, lol. So happy you’re in the States now 😀 Hope you’re all adjusting well. Hugs!